In 12-inch nonstick skillet, cook beef over medium-high heat 5 to 7 minutes, stirring frequently, until no longer pink; drain. 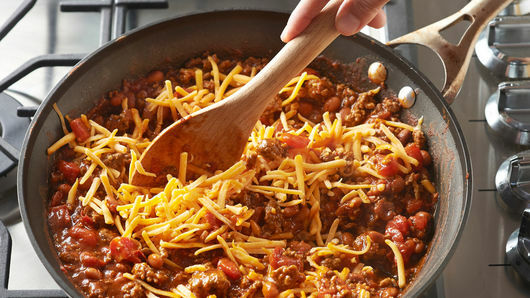 Reduce heat to medium; stir in taco seasoning mix, diced tomatoes and chili beans. Cook 2 to 3 minutes or until heated through; stir in 1 1/2 cups of the cheese. Remove from heat. Unroll crescent dough; press in bottom and 1/2 inch up sides of baking dish. 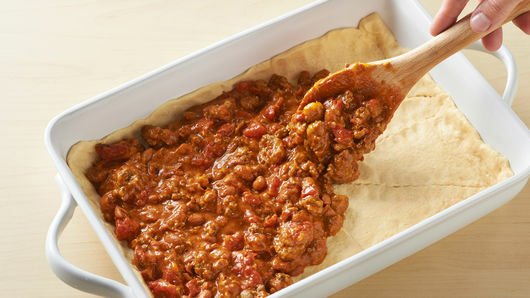 Spread beef mixture on top of crescent dough. Bake 20 minutes; top with remaining 1/2 cup cheese and the corn chips. Bake 5 to 7 minutes or until dough is deep golden brown and cheese is melted. 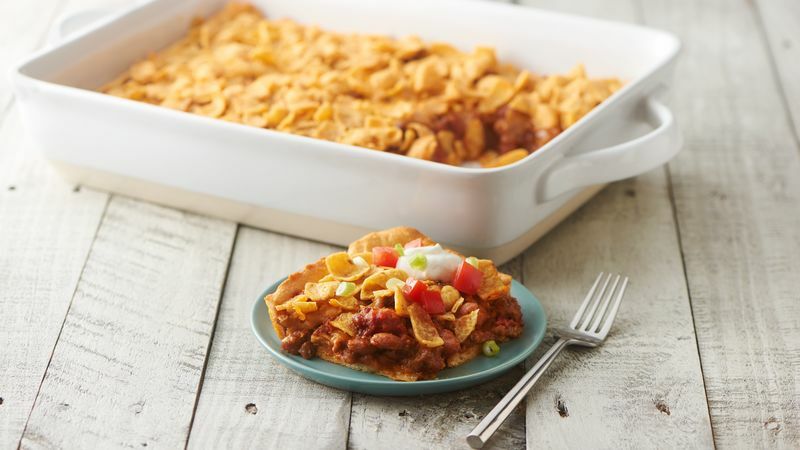 You can buy Fritos™ corn chips in the chili cheese flavor, which would bring out even more flavors of the chili. Canned pinto beans are sold in flavored sauces, which is what was used in this recipe.